Making the quick drive from his old job to his new one, Tom Herrion stopped to grab a bite to eat in Morgantown, W.Va. While Herrion finished up his meal, a gentleman slid out of his nearby booth and came over to Herrion's table. "Excuse me, weren't you the assistant at Pitt?" the man said. And when Herrion admitted that, indeed, he was the assistant coach made famous after getting pegged by a flying coin during a Panthers game at West Virginia, the man took a quarter out of his pocket and set it on the table. "Not all West Virginia people are bad," he said and walked off. Former Pitt recruit and Seton Hall standout Herb Pope, meanwhile, is still recovering and is back in Pittsburgh. It's unclear if he will play next season at Seton Hall. Brian Bennett at ESPN.com wraps up his Big East position rankings. 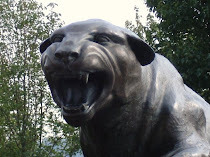 Pitt ranked fourth in the secondary and fifth at Tight End. Just a quick note on the tight ends. I've mentioned this before, but I really believe this position will be more productive than expected. With the loss of Dorin Dickerson and Nate Byham, I'm sure many fans are looking for a large decrease in production there. But I believe that Offensive Coordinator Frank Cignetti will again find ways to get the tight ends involved. And with a new quarterback and retooled offensive line, you can look for some short, safe passes this year to the tight end 'security blanket.' I think fans will be pleasantly surprised, even though it's almost a guarantee that there will be a decrease in production at that spot. And Dion Lewis was called college football's most productive runner and a top five Heisman candidate by the Sporting News. 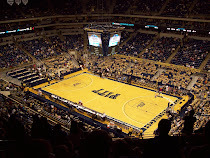 The publication also ranked Pitt 19th and named Lewis, Jason Pinkston, Jonathan Baldwin, and Greg Romeus to its All American teams. We may get some of the pass receiving value back from our 2010 version of the team's TEs, but we will sorely miss Byham's blocking abilities. I'm not sure all three of the kids we have at TE combined can equal what Byham did for our RBs. On the receiving end - Dickerson was a TE in name only... it will be interesting to see what Cignetti has in store for Todd Thomas & Cross in replicating what he did with DD in 2010. I believe, at this point, that is the reason DW has said Thomas will start out on offense.